Tupelo Honey: Cinco de Mayo! This Mexican food, margarita-loving girl is very excited to celebrate Cinco de Mayo today! My sweet in-laws are in town this weekend, so we're having my folks over for a little cele'. Also coming...Ellen (sister in-law) and Lucy, BFF Katie, maybe Megan and Emily. We'll be whipping out our favorite wedding gift for sure. I will definitely post the recipes and pics later! I'm most excited to try the 5-Spice Shrimp! 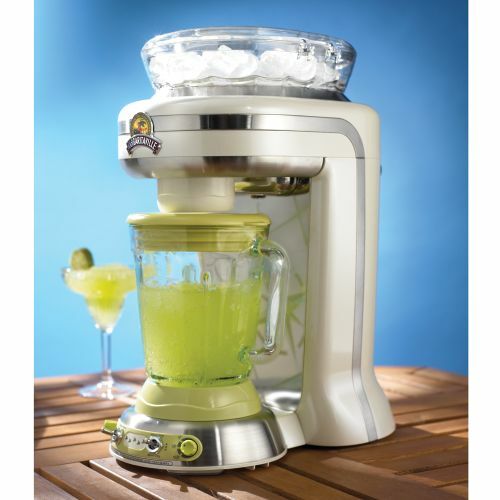 Love that margarita machine!! ;) i'm making homemade strawberry margaritas, cheers!!! I think I'm going to need to know how to make brownie pudding!